Lay bell peppers out on a baking pan. Roast in a hot oven for about 35 – 40 minutes, or until small bubbles appear on the skins and they start turning brown. Place peppers in a clean plastic food bag, or a bowl covered with plastic wrap, to release moisture. When cool enough to handle, remove skins and deseed. Quarter or leave peppers whole. Place peppers in layers in a sterilized jar, putting basil leaves between each layer. Add the garlic cloves, chili pepper, and peppercorns. 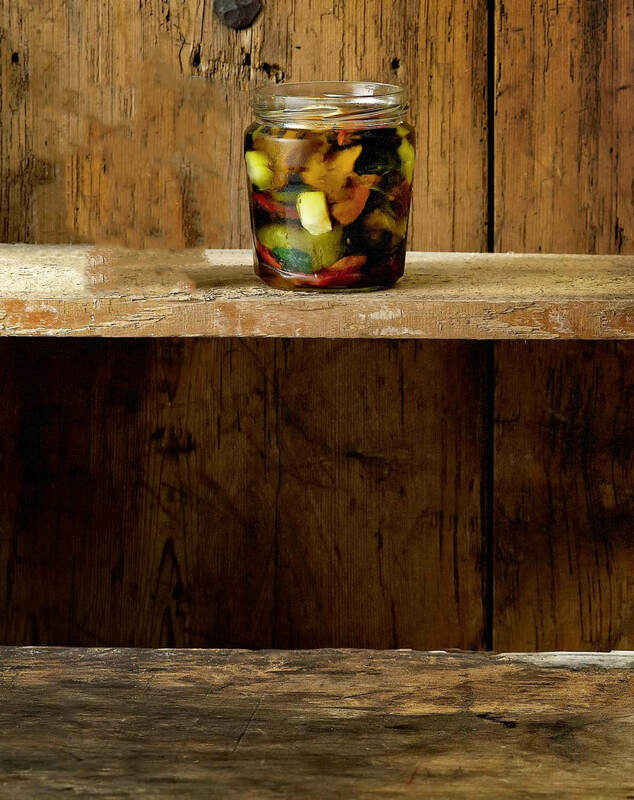 Fill the jar with olive oil, seal, and store in the refrigerator.